RJ Power Rail Limited were recently requested to attend a Network Rail (NR) storage location, to undertake both testing and asset condition reporting of 33 Control Track Switch (CTS) units, which had been delivered to the Infrastructure Projects (IP) team for future CTS works. Due to circumstances with a third-party, these units had been transferred to the Wessex Works Delivery, whereby they have remained in storage for over a year and therefore were required to be tested to ensure they that they were suitable for use. 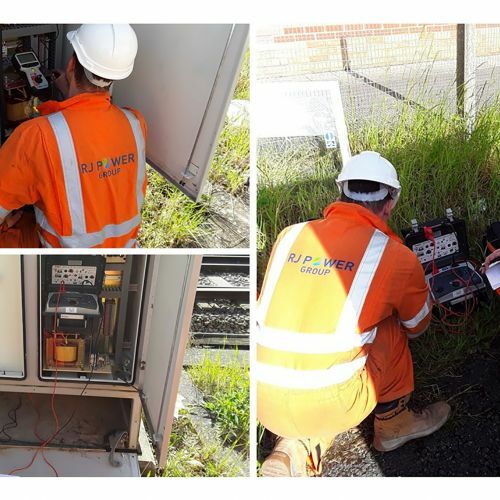 RJ Power Rail’s Engineering team of Peter Jackson and Mark Hayes, undertook an array of agreed electrical tests to ensure the equipment was fit for use and provided the necessary documentation to their colleagues at NR. These works form part of the wider and ongoing Safer Smarter Isolation Project that RJ Power Rail are both currently engaged in and also successfully completing on behalf of the Wessex NR team.